Almost one year ago, Alice TodHunter Moon left her PathFinder village to become Apprentice to ExtraOrdinary Wizard Septimus Heap. She learned that the Magyk of the Castle comes from the power of the great block of lapis lazuli beneath the Wizard Tower. But in faraway lands, the brilliant blue stone is crumbling to dust. Soon the destruction will spread to the Castle, and its Magyk will be destroyed. 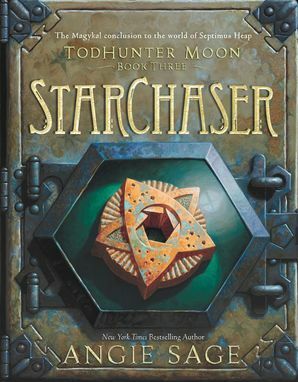 Tod sets off on a hazardous journey to find the ancient object that will reverse the UnRaveling, and save the world of Septimus Heap.